The A-Wiper Shower Puller from Zone Denmark reliably protects the shower wall from calcification. The silicone edge thoroughly removes the water and leaves a dry writing, completely without water stains. 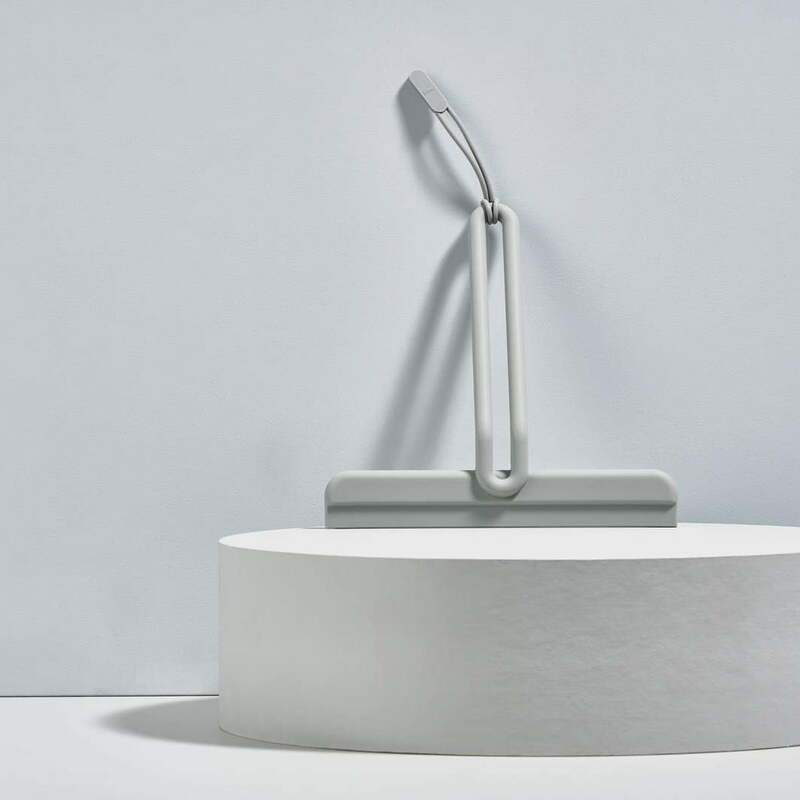 Thanks to the stylishly shaped handle in matt lacquered metal and the overall monochrome appearance, the A-Wiper shower extractor can also be used as a decorative element in the bathroom and does not need to be hidden in the cupboard. 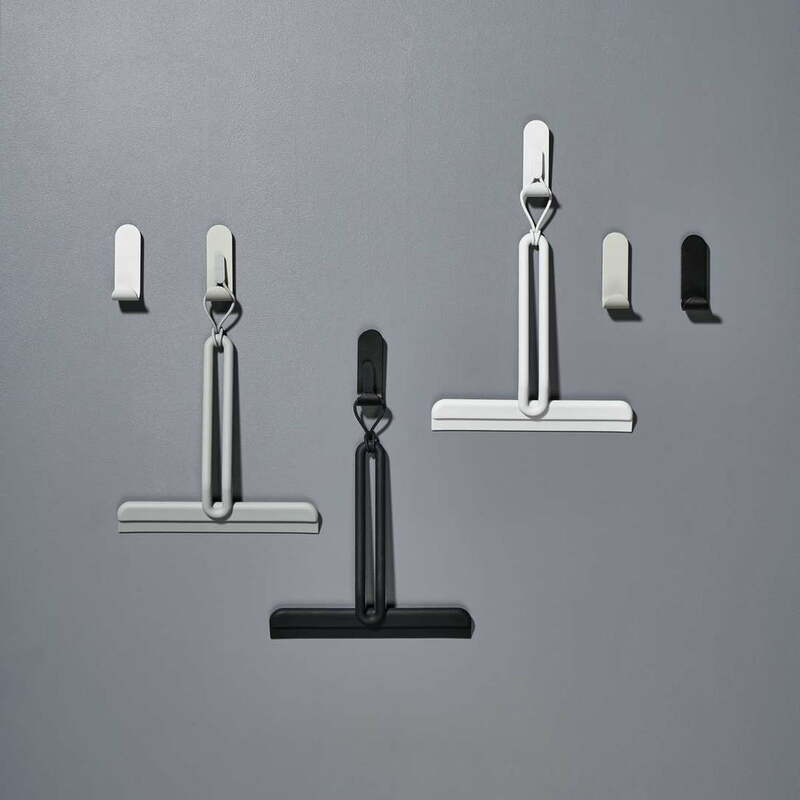 The shower squeegee is available in different colours, which fit perfectly into the A-series. 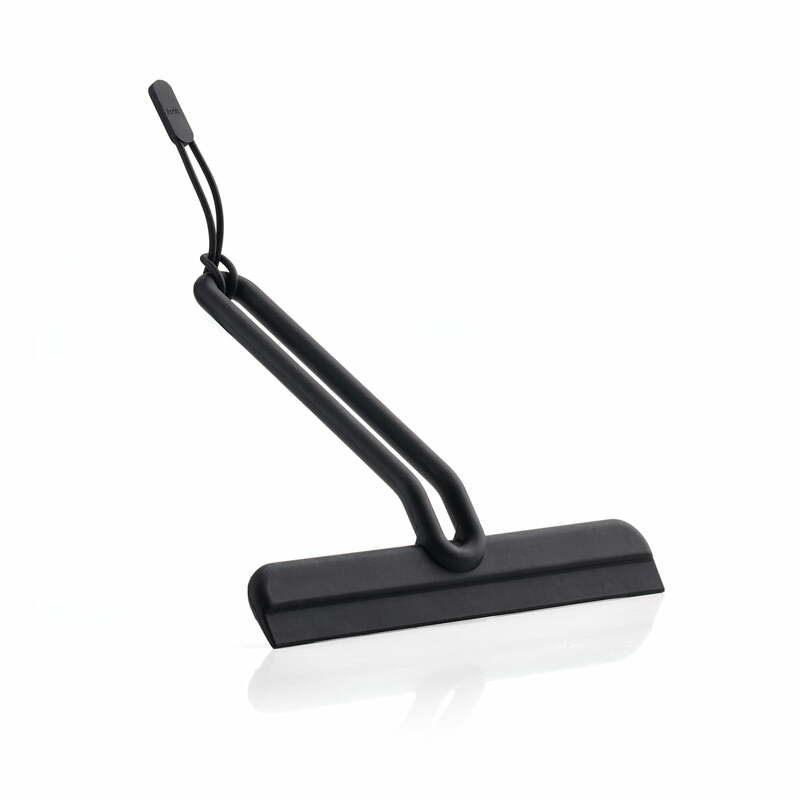 A-Wiper Shower Squeegee in black from Zone Denmark in single view. The silicone edge thoroughly removes the water and leaves a dry writing, completely without water stains.